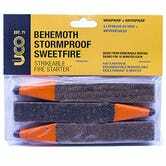 Fire has found a beachhead in its long, futile war on water - UCO’s stormproof matches. 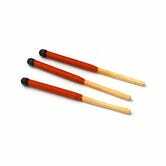 Sold in packs of 25 that come in a waterproof striker case (you can also buy refills without the case, for less), UCO’s matches for up to 15 seconds, even in the wind and the rain. Incredibly, you can drop a lit match into water, pluck it out, and watch the flame come back to life. I saw it with my own eyes at Outpost, and even demanded that I try it myself, just in case it was some kind of magic trick (it wasn’t). Beyond this impossible-seeming superpower, I just loved how UCO’s matches felt to use. They’re long and thick, and you don’t have to worry about breaking them when you strike them, or burning your fingers when the flame gets too close. 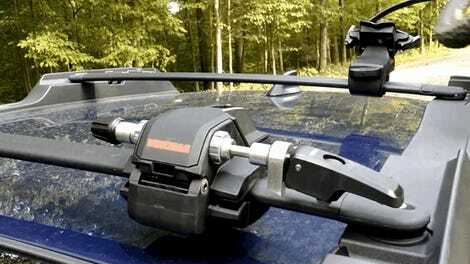 They’re the coolest way to light something on fire this side of arc lighters. 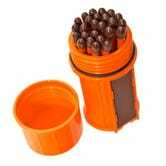 Typically priced at around $7-$8 for a starter pack, the matches would be a great stocking stuffer for the campers in your life, or an affordable little impulse buy for yourself. For about the same price, you can opt for about half as many Stormproof Titan matches, which burn for 25 seconds. Personally, I don’t think they’re worth the extra cost, but they’re there if only the best will do. 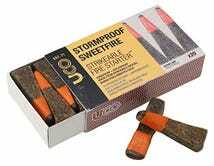 For foolproof flames, UCO also makes larger stormproof fire starters, which combine the striker and phosphorous tip of the matches with a base of renewable sugarcane byproduct biofuel. The little ones burn for seven whole minutes, and the magic marker-sized behemoths stay lit for up to 15, which should be plenty to ignite your campfire logs, no kindling required.